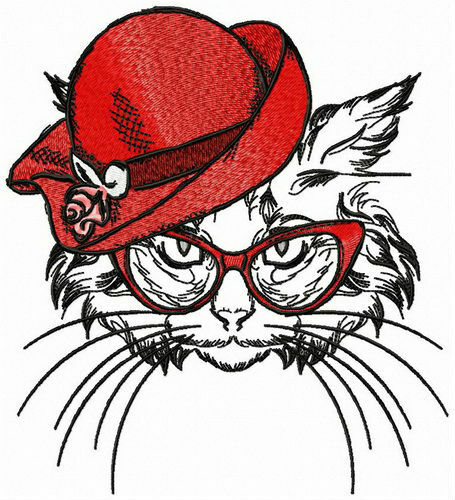 This stunning kitty knows her worth, for sure, and will be a tremendous addition to any favorite items of yours! 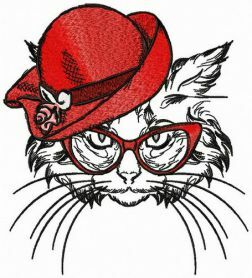 The coquette kitty featured in this embroidery design is wearing a stylish red hat decorated with a rose and a pair of red glasses to complement her look. The color palette combines saffron, burgundy, aspen white, cinnamon, black and banner grey. 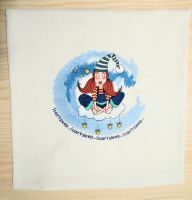 You can use this design for a whole variety of creative objects, for example T-shirts, gift boxes, toys, hoodies, sweaters, towels, blankets, quilts, cushions, purses, bathrobes and much more. The only limit is your creativity! Can you send this design to me in ART50 format? No problem Sent as attach . I just made a purchase #191329. (Order number) I can not find the download file for Signora Kitty. I have EXP. Please direct me to the correct link. Thank you for message. problem solved. Projects are available for download. At the same time we sent these designs by email. Adorable Lady cat! Stitched out ideally! Great stitch out! Loved the way it finished out. The pattern is perfect for adults and for children, universal! And the price is cheap. Thanks! 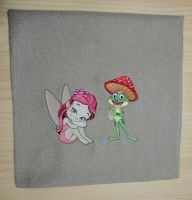 I am a member of your valuable and very useful site I have a shop for sewing and embroidery for children from time to time I needed some designs and I loved to be from your site Can designs be customized? Yes of course it is possible. You should describe as best you can what design you want to change. What to add or remove. If it is an inscription attach the font and the size of the inscription. Very well, if you added a picture with a description. 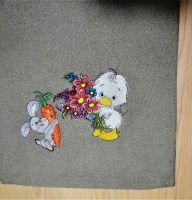 I've sewed a very cute thing with the kitty pattern, I'm excited. I got as a gift an embroidery machine and this was my first try. Embroidered wonderfully, it was easy even for the beginner like me. Great experience and beautiful result, thank you! Will surely keep on buying in here.